Hello Friends, Do you want to apply for CFW Recruitment 2019? If yes, then here is a nice opportunity for you. Commissionerate of Health & Family Welfare has published an advertisement for 155 Staff Nurse Post. Interested & eligible candidates can download & fill application forms from 17.02.2019. Applicants must submit their registration forms for CFW Staff Nurse Jobs till 05.03.2019. Before applying candidates can check the eligibility criteria & selection process from here. Fresh Update as on 05.03.2019: Participants who want to apply for CFW Recruitment 2019 may fill application form. Online registrations will going to close shortly. For more relevant updates applicants stay in touch with us. What Is The Payment Mode of an Application Fee For CFW Vacancy 2019? Minimum age: As per rules of CFW Department. What Is The CFW Office Address To Send Registration Form Of Zone IV? From Where Applicants Can Download CFW Vacancy Application Form 2019? Participants can download application form for CFW Jobs either from here or from official website. Here we have provided you direct link to download CFW AP Vacancy Application form. 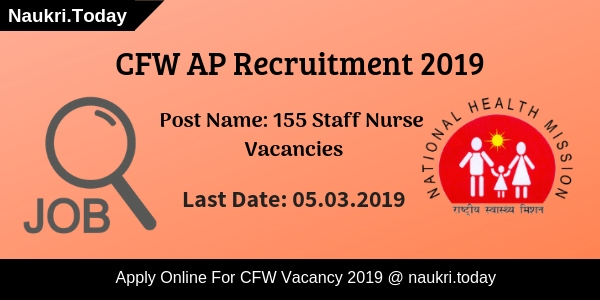 Conclusion: CFW Recruitment 2019 Notification is available for 155 Staff Nurse Vacancies. Interested participants may download their application form for CFW Andhra Pradesh Vacancy 2019 from here. 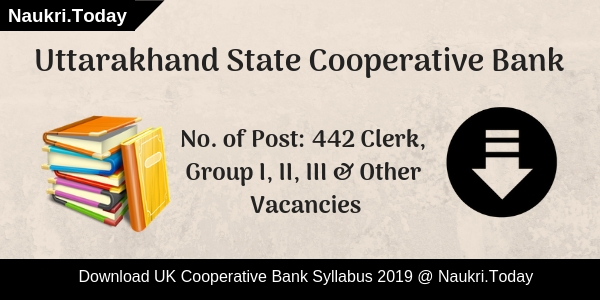 Applicants must submit their registration forms till 05.03.2019. CFW Recruitment 2019 – Commissionerate of Health & Family Welfare is going to appoint candidates on 1900 AHM-MOHA (F )Vacancies under National Health Mission, AP Department. Candidates can register themselves from 02 February 2019. Eligible applicants may fill up their application form and submit it before the last date 20 February 2019. Only general Category candidates need to pay DD of Rs. 300/- as an application fee for CWF AP Vacancy 2019. Candidates who belongs to reserved category are exempted from the payment of an application fee. For furthermore information candidates may refer to the below article. Candidates must fill up their application form in a prescribed manner and their application form to the DM&HOs in the district in a working hours 10:30 A.M. to 5:00 P.M. Applicants must send their application form before the last date. ( the Department do not mention any postal delays). Participants need to pay their application fee in a form of Demand Draft for CFW Recruitment 2019. Applicants who belong to general category need to make D.D. of Rs. 300/- and send it along with CFW Application Form. The Department has exempted Sc/ST/Ex-Service man form the payment of an application fee for CCFW AP Jobs 2019. Candidates should log on to the official website of CFW Andhra Pradesh i.e cfw.ap.nic.in. Now read complete notification carefully & check eligibility criteria. Eligible aspirants may fill up their application form and send it to the given address. Conclusion: CFW Recruitment 2019 is available for 1900 ANM-MPHA (F) Vacancies. Interested participants may fill up their application form for CFW AP Vacancy 2019 before the last date. 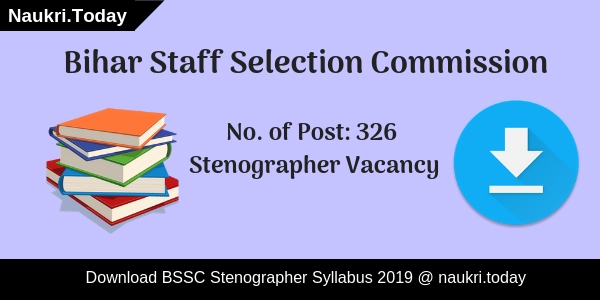 For more information aspirants may refer to the above article.